Zainab Mughal: Toddler with cancer spurs hunt for rare blood. A two-year-old US girl who needs several blood transfusions to fight cancer has spurred a global campaign to search for compatible donors. Zainab Mughal has one of the rarest blood types in the world, which makes it difficult to treat her condition. Campaigners say more than 1,000 people have been tested, but only three so far have the blood she needs. Doctors say seven to 10 donors will be needed over the course of her cancer treatment. Earlier this year Zainab was diagnosed with neuroblastoma, an aggressive and rare form of cancer that mostly affects babies and young children. Blood transfusions will be needed for the duration of her treatment, but Zainab’s blood is “extremely rare” because it is missing an antigen – “Indian B” – that most people carry in their red blood cells, says OneBlood, a non-profit blood centre that’s spearheading the search for donors. The only donors likely to be a match are people of exclusively Pakistani, Indian or Iranian descent with blood type O or A, OneBlood says. But even within these populations, fewer than 4% of people will be missing the Indian B antigen. Zainab’s body will reject any blood which doesn’t match all the requirements. Two matching donors have been found in the US, and another in the UK. “This is so rare that honestly this the first time I’ve seen it in the 20 years I’ve been doing this,” said Frieda Bright, a laboratory manager with OneBlood. OneBlood is working with other blood banks and the American Rare Donor Program (ARDP), a program that finds donors of rare types of blood around the world. “Blood is not going to cure her, but it’s very important for her to survive cancer treatment,” Ms Bright said in a campaign video. Zainab’s father Raheel Mughal said his daughter was diagnosed in September. “We were all crying, this was the worst thing we were expecting,” he said in the OneBlood video. After he and Zainab’s mother offered to donate their own blood, doctors discovered neither of them was compatible. According to OneBlood, treatment with chemotherapy is already reducing the size of the Zainab’s tumour, but she will eventually need two bone marrow transplants. “My daughter’s life very much depends on the blood,” says Mr Mughal. 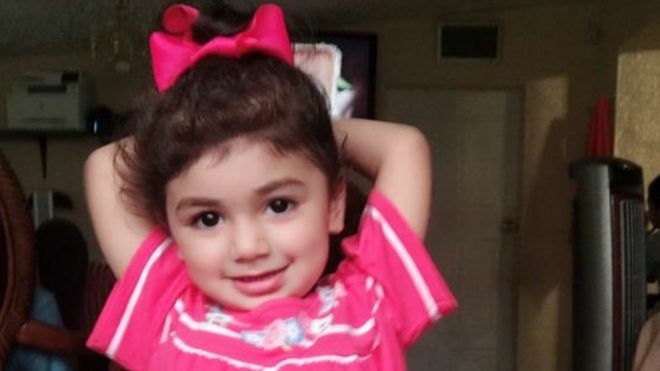 In addition, FEZANA has been notified that there is a 2-year-old girl battling cancer who needs a very rare type of blood found only in Indian, Iranian, and Pakistani descendants. There may be several Zarathushtris who may be able to help in this case. Please visit the links included below and help this young girl if you can. ZAGBA and FEZANA thanks you for your generosity and willingness to help.